It is the question of the ages: Who am I? Every generation struggles with its corporate identity, and within that conflict, individuals find their own places in it. Some generations are shaped by war. Others are shaped by revolution or religion. Economics shape generations, whether during a time of great want or a time of tremendous prosperity. Massive outbreaks of illness or natural disasters frame corporate identity. Generations are sometimes named for whatever shaped them: the Greatest Generation of the 1940s, the Hippies of the 1960s and 70s, the Me Generation of the 1980s, and most recently, the Millenials. These group identities are usually thrust upon the generations by social forces, and not everyone fits neatly into them. To complicate matters, we now have an entire generation of teenagers searching for multiple identities. People have always had the option to present a public identity while protecting a private one, but the internet brought with it a whole new world of identity creation. Now we not only have to determine who we are in the physical world, but we also need to decide who we will be in the virtual one. In one sense, the web allows us to take on any persona we desire. Online groups and games allow teenagers to interact with adults as peers, disrupting the power structures of the physical world. There is danger there, as there is in any undiscovered country, but just as we all learn to look both ways when crossing the street, we can also learn to protect our vulnerabilities online. But that’s not the point of this ramble. Here I want to explore the idea of identity and what it is. How is it constructed? What effect does community have on identity development? And how does technology, especially the affordances of social media, affect our sense of who we are and who we want to be? In the exercise pictured above, attendees of the Digital Pedagogy Labs Prince Edward Island conference last month engaged in an ice-breaker introduction that centered on self-identity in 140 characters. Pairs introduced themselves to each other, and then wrote 140 character descriptions about each other, writing the results on the white boards without indicating who belonged to which description. And that was the end of it. Never referred to again, the descriptions were ultimately covered with notes from another session. But the exercise made a point: identity is elusive and morphs based on the community around it. Or is identity something deep within that we parse out depending on the particular community surrounding us? Ontologically, I believe that each person is created with a unique identity, one that develops over time, but always around a central core, a golden thread of unique essence. Always in the process of becoming, the true self finds itself in community, but also in the solitary activity of personal reflection. When we try to morph that true self into something other, we generally find ourselves frustrated and unhappy. We are at our best when our unique essence is allowed to intersect with the world and people around us without compromise. I think this may be one reason teens and young adults struggle with anxiety. Parents send mixed messages about who they should be: busy, driven, and ambitious, but at the same time, kind, obedient, and good, whatever that means. Media floods them with information about how they should look. Schools press them to think about college and career at all times. We expect teens and young adults to be malleable into whatever forms we adults think is best for them and then we tell them they can be anything they want to be. We tease them with an idea of self-determination and then tell them what they have to be, how they have to act, and what they should be doing at any given point in time. We talk about identity, but do little to give teens time and space to discover their own. Even in education, or rather especially in education, we tell students that they can be good writers or artists or readers, but if they want to succeed in the future, they had better be good at math and science and technology. We adults complain that students can’t think for themselves, but we train them to take standardized tests and write predictable five paragraph essays that contain buzzwords, but no originality. Is it any wonder so many young adults enter the marketplace unprepared? How can they prepare for life as an adult if we don’t let them discover their own essential golden thread of identity? In the DigPed exercise, the element of introducing ourselves to strangers was influenced by the fact that it was an education conference. How much of my essential self did I share? Very little. And I am certain most people focused on the superficial elements of life: family, job, maybe a hobby, along with a general connection to education. The context of a particular conference influenced the kind of information shared. A gathering of dog lovers or artist or musicians would likely yield a different kind of information shared. Having to limit that description to 140 characters further influenced the depth of identity revealed. In that sense, the exercise was a failure. No one knew anyone else any better at a substantive level after the exercise. Where the experience succeeded, however, was in recognizing the limits we place on ourselves when it comes to revealing our identities. Perhaps that is why we sometimes think that identity is only a social construct. We are who we need to be given a particular context. And as we engage with more and larger communities online, those limits further constrain us until we don’t recognize ourselves anymore – if we ever knew ourselves in the first place. If this revelation of identity is complicated for adults, imagine how complex it becomes for a generation of people who were indoctrinated to information overload practically from birth. This group of individuals has always considered google a verb, can type with two thumbs as efficiently as with ten fingers, and may never set foot in a building called a library. Exploration happens without leaving home, unless, of course, Pokemon awaits capture outside. Even then, the screen dominates vision. The resources readily available to today’s young adults boggle the mind of adults who researched using microfiche and card catalogs. Young minds are filled with images of worlds once relegated to National Geographic Magazine, and people can connect across oceans in seconds. With so many opportunities to explore the wide world, are we doing enough to reflect and look inward to discover the world within ourselves? We are a pendulum swing away from Whitman and Thoreau and Emerson, who eschewed popular society for inward discovery. Our Western culture reaches out and around, seeking experiences to define us. We look for our people, but how can we recognize them if we do not know ourselves? And how can anyone expect depth of young adults whose world has generally been miles wide but only inches deep? How can any of us share an identity we don’t know? As an educator, I want to give students the tools they need to find their own unique identities but avoid telling them what those identities must be. I find, however, that goal thwarted by demands for accountability through standardized tests, writing samples, administrations looking for money, and the politics of education. These elements are part of teaching in this era, and until some massive paradigm shift tilts the education world off its axis, it is not going away anytime soon. The demand for quantitative data drives funding, and identity is not quantifiable, so it becomes unimportant in the system that wants to turn individuals into bits and bytes that can be neatly categorized into neat little boxes of success or failure, determined by whomever has the money and the power. I think the affordances of the internet can become useful in the search for identity if students (and frankly, adults) use the tools as places of solitude now and then. Walden Pond may be a misty idea, but journaling doesn’t have to be. If identity and the golden thread of self-essence are best discovered in quietness, then we must make room for contemplation in the midst of the whirlwind of activities that make up our days. Furthermore, if we say we value independent thinking and individual identity, then we must, even in our classrooms, encourage exploration without fear of reprisal or correction. Journals and blogs can become sanctuaries for reflection, while the world we see online serves as inspiration. It is in reflection that we discover ourselves. As we then identify our own unique essences, we can then come to community, not to define us, but to teach us to see how that essence fits with the greater whole and to contribute to that whole. Teach us to see. That is the key to both identity and community. When we see our true selves, we know what we have to share. Community cannot construct identity. Individuals who know and understand their unique identities work together to construct community. Maybe that’s where the paradigm needs to begin to shift. The fi nal project for the Connected Learning MOOC (#clmooc) took us to explore the National Park system as an open public space. 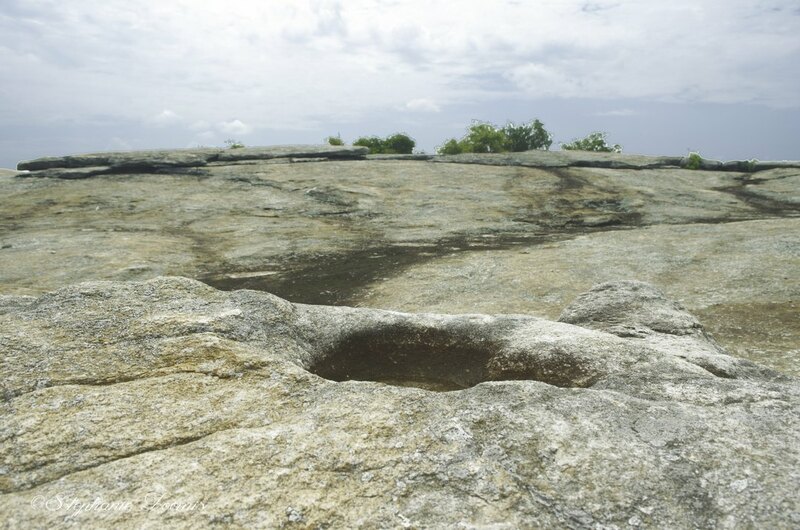 Georgia has a plethora of National and State parks along with Heritage sites, Historical sites, National Monuments, and National Recreation Areas. I chose to explore a new-to-me park in Lithonia, Georgia. 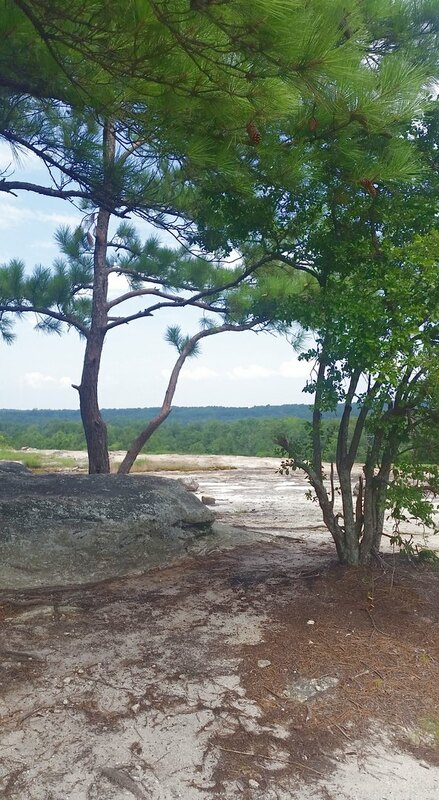 Arabia Mountain is an exposed granite monadnock still relatively unaltered by humanity. There was once a quarry there, but it is long shut down and the machinery removed. Because it is not heavily promoted and the signage is less than obvious, few people walked the mountain while I was there. (Granted, it was midday in July, and the 95 degree temperature may have had something to do with the solitude.) Still, it was easy to imagine early settlers and Native Americans hunting and living here. 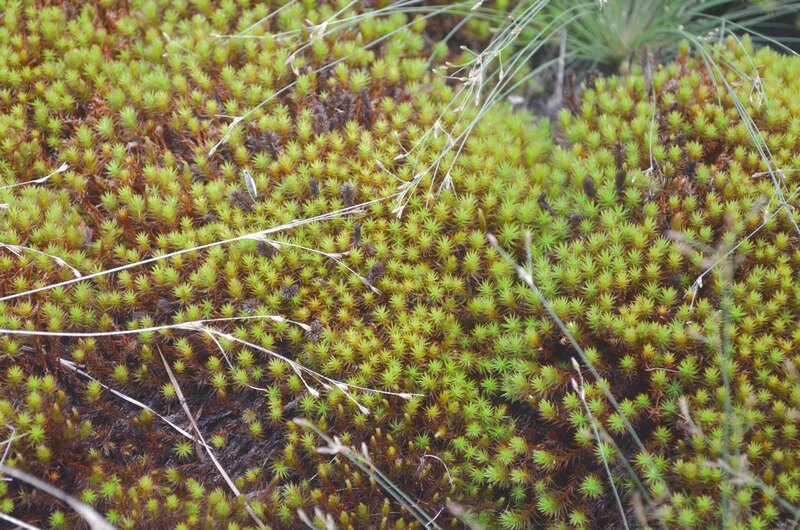 It is vast and rugged, but upon inspection, harbors all sorts of microscopic life and plants that manage to thrive without much soil. The views from the summit are beautiful, even on a hot and hazy afternoon. Buildings and roads are invisible, so it feels remote and isolated. While I enjoyed my trek, I had to consider how I could incorporate this Make into a classroom scenario. 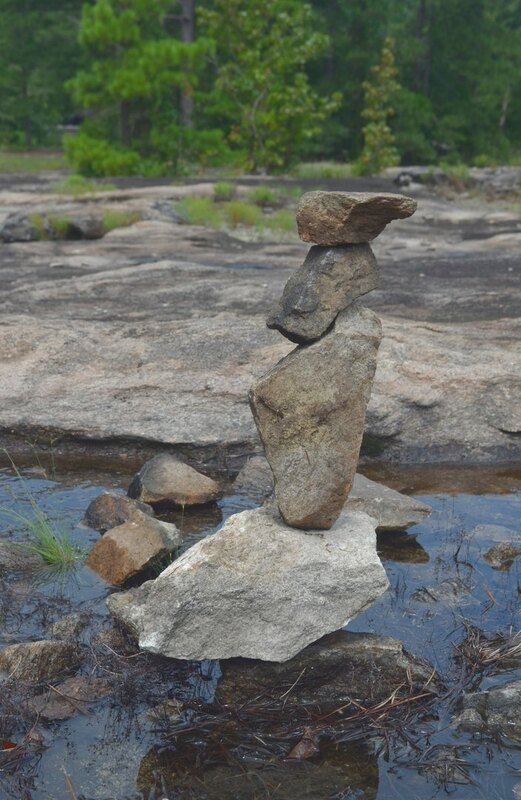 Science and math might be natural fits: micro-biology and ecology are obvious, and geometry students could calculate the pitch of the mountain or determine the weight of granite slabs. Literature requires a little more creative stretch to incorporate. However, upon reflection, I see a number of ways to justify a National Park field trip for an English classroom. There is the historical value of oral storytelling, which was the tradition of the first inhabitants of this land. The area was also home to a community of freed slaves (the area bordered three different plantations) that became a prosperous town through the mid 20th century. NPR did a story about the Flat Rock community in 2008. Blending the Park with this history affords students the opportunity to write a historic retelling of the community or of fictional residents. This allows the students to research life in a specific era, a particular setting, and a historic climate about which little is known. Story is a key element of preservation, although it requires careful study blended with critical and creative thinking. As research, this is far more difficult than the “encyclopedia report” many students do, but the benefits of learning curation from multiple sources ultimately proves practical well beyond the high school years. Research fulfills a number of standards in the Common Core requirements, but there are opportunities to use a visit to the Parks as impetus for creative writing. Many American authors wrote about nature (Jack London comes immediately to mind), and short stories featuring the land may inspire students to dig a little deeper into their own psyche or philosophies. Poetry may also emerge as a way to capture the vast beauty of the Parks. 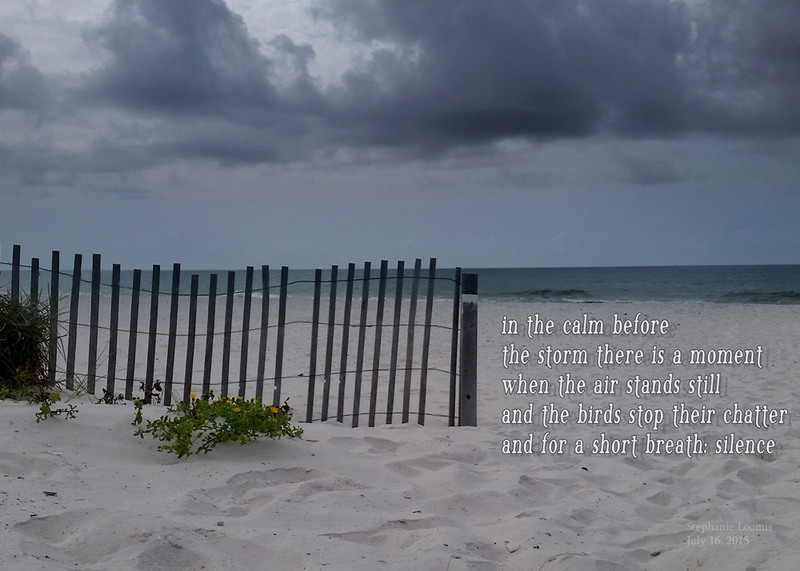 A haiku or tanka (even a sonnet) poem embedded into a photograph blends creative thinking, art, and a structured form that touches the highest level of Bloom’s taxonomy. In any education, National Parks are a treasure to consider, and many of them are accessible enough to encourage all students to visit, even if a school field trip is not allowed. 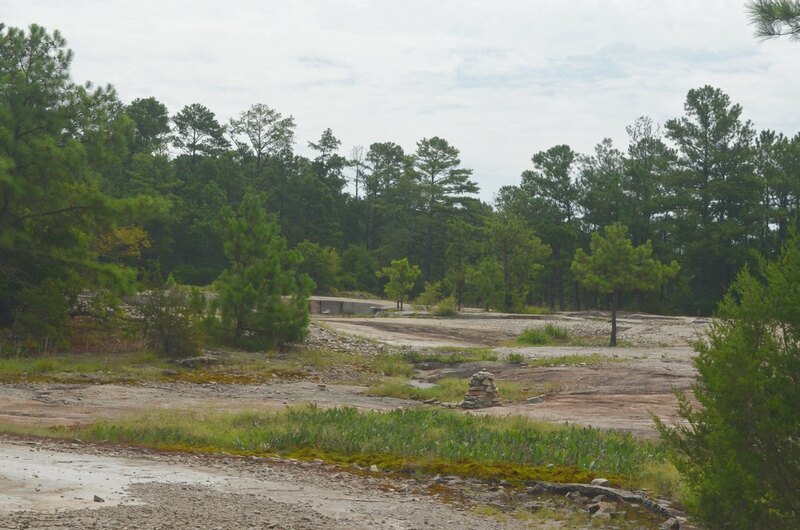 Arabia Mountain is off the Path system of DeKalb County, a free to use paved greenway designed for pedestrians and cyclists. 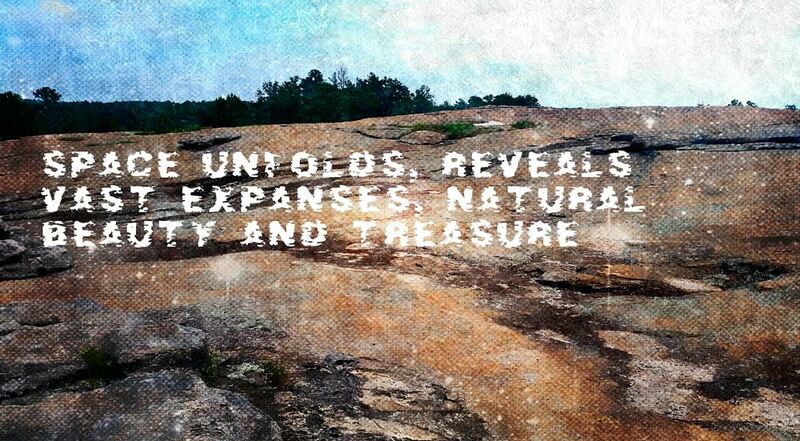 The Arabia Mountain website offers a number of ways to see the park. Deanna DeBrine Mascle introduced me to e new form of poetry: Tanka. It is a Japanese tradition, much like Haiku, but slightly longer. Instead of Haiku’s 5,7,5 syllable pattern Tanka contains 5,7,5,7,7 syllable lines. 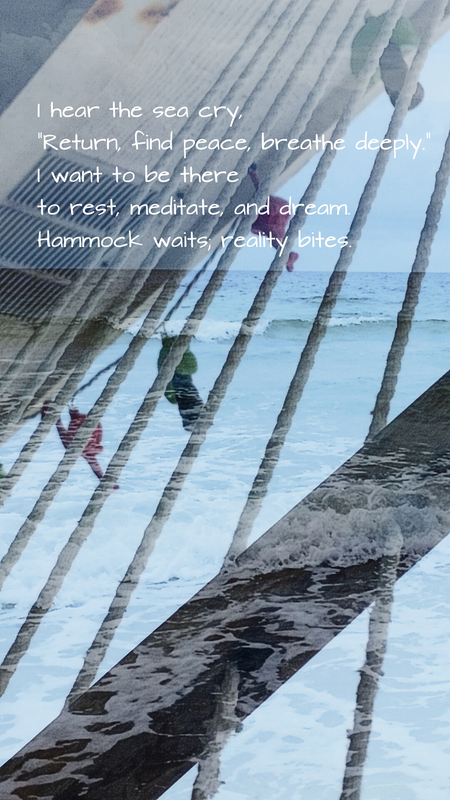 Thematically, Tanka is like Haiku: nature, emotion, and love. I’ve always struggled with Haiku, but this form seems more approachable to me, perhaps because it is longer. I don’t know for sure, but my Intro to Comp students will play with this form during our poetry unit next Spring. May I go back to the beach, now?